We are excited you are interested in returning to Boise State. There is always something new and exciting going on, so watch for things that may have changed since you were last here. Check your My.BoiseState account to see if you have “active” admission status and do not need to reapply. Your admission status remains active for two years following your last semester of enrollment as long as you have not applied for graduation. For example, if you enrolled in classes Fall 2017, you remain “active” until Fall 2019. When in doubt, check My.BoiseState. You do not need to reapply for admission if it has been less than two years since your last enrollment at Boise State as an undergraduate student. If you have attended a different college during your absence from Boise State, please submit official transcripts from that college. Please check your My.BoiseState account to see your next available semester for enrollment. If it has been more than 2 years since your last attendance at Boise State, you will need to reapply for admission. If your previous admission was based on in-progress transcripts, you need to submit final, official transcripts. Official transcript from each college or university attended. (If you earned an academic associate degree from a regionally accredited institution and your credits were evaluated by Boise State University prior to June 2004, we recommend re-submitting official transcripts for core certification review even if not necessary for admission purposes.) If you have attended other colleges or universities since you previously enrolled at Boise State you will need to have earned a 2.25 cumulative GPA on all credits attempted since leaving Boise State. Students who have below a 2.25 on post-Boise State coursework will be evaluated on a case-by-case basis, and are encouraged to submit a personal statement. Official high school transcript showing date of graduation or GED test scores, if you have fewer than 14 college credits. Official ACT or SAT results are not required if you’re 21 or older. Otherwise, test scores may be posted on your high school transcript or received directly from the testing agency. If you applied to graduate from Boise State with either an Associate’s degree or Bachelor’s degree, you can still continue to take courses at Boise State. If you are planning to continue on at Boise State immediately following your graduation, please notify to Registrar’s Office at 208-426-4249 or RegMail@boisestate.edu. They will assist you with getting a registration appointment for next semester and will update your academic record. You do not need to submit a new application as long as you notify them of your intent prior to the start of the next semester after your graduation (for example, if you graduate in December, you need to notify them prior to the start of the Spring semester. If you graduate in May, you need to notify them prior to the start of the Fall semester). If you recently graduated from Boise State with either an Associate’s degree or Bachelor’s degree, you can still continue to take courses at Boise State. If you are planning to continue on at Boise State immediately following your graduation, please notify to Registrar’s Office at 208-426-4249 or RegMail@boisestate.edu. They will assist you with getting a registration appointment for next semester and will update your academic record. You do not need to submit a new application as long as you notify them of your intent prior to the start of the next semester after your graduation (for example, if you graduated in December, you need to notify them prior to the start of the Spring semester. If you graduated in May, you need to notify them prior to the start of the Fall semester). If it has been more than one semester since you earned your Boise State degree, you will need to reapply for admission. In addition, you will need to pay the Nonrefundable Application Fee or approved App Fee Waiver. If your degree from Boise State was a Bachelor’s degree, you do not need to submit any transcripts as part of your application. If your degree from Boise State was an Associate’s degree, you will need to submit official transcript(s) from each college or university attended after you were enrolled at Boise State. If you were admitted to Boise State, but your plans changed and you did not enroll in classes for the semester you were admitted, you will need to reapply for admission. If your previous admission was based on in-progress transcripts, you need to submit final, official transcripts. We will make an admission decision based on these new final transcripts. Official transcript from each college or university attended. If you have attended other colleges or universities since you were previously admitted at Boise State you will need to meet our transfer admission standards in order to be re-admitted as a degree seeking student. If you are dismissed from the university, you are barred from enrolling for one semester (fall or spring) after the first dismissal and for one academic year after any subsequent dismissal. If you wish to appeal this waiting period, you must file an appeal with the University Academic Appeals Committee. You can learn more about academic standing and the university requirements on the Registrar’s Office website. You will be permitted no more than two (2) reinstatements. A third dismissal is final. If you were previously academically dismissed from Boise State and have waited the required number of semesters to return, you will need to submit a new application for admission as your first step for reinstatement. 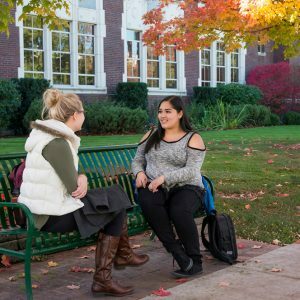 If you have attended other colleges or universities since your dismissal from Boise State, you will need to meet our transfer admission standards in order to be reinstated as a degree seeking student. Note: Beginning Spring 2018, if you have attended other colleges or universities since your dismissal from Boise State, you will be assessed for admission using only credits earned since leaving Boise State. For re-admission to Boise State, you will need to have an overall 2.25 GPA on credits completed post-dismissal. As noted above, a third dismissal from Boise State University is final. If you have been dismissed three (3) or more times and you would like to appeal the final nature of your dismissal, you must complete an Academic Appeal to the University Academic Appeals Committee. As part of the appeal process, you are required to develop an Early Reinstatement Plan with an academic advisor. If your appeal is approved, you will be contacted directly to discuss the next steps for enrollment. Contact the Registrar’s Office at 208-426-4249 to learn more about the appeal process. You can also download the necessary forms through the Registrar’s Office website. Once Admitted: Students reinstated to the university after a dismissal, are admitted and placed on academic probation. Additionally, a hold is placed on their account that prevents them from registering for classes. Once a student receives their reinstatement notification from Admissions, they will receive an email from the Advising and Academic Support Center (AASC) via probation@boisestate.edu with their next steps in the reinstatement process. For questions regarding the process please email probation@boisestate.edu or call 208-426-4049.